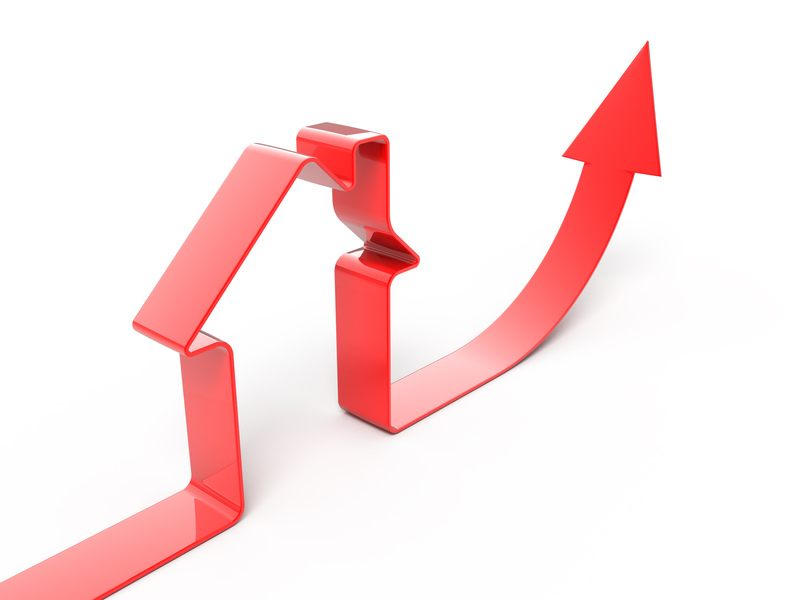 Real estate investing can be very risky, but it can also be highly lucrative. Yes, location, location, location is hugely important, but so who you are dealing with is even more important. The reality is that there are some seriously shady characters in the world of real estate. Consider those late night advertisements on television, where realtors promise to make you a millionaire, for instance. The first thing is to find something with a good return on investment. Real estate is an illiquid asset that requires you to minimize on your liquid assets. Try to make sure that the return rate you get is the same as what it was on your liquid assets. Basically, you must find good cash flow properties, not money pits. Also, make sure that your investment isn’t too risky. Real estate is always risky, but some more so than others. If at all possible, avoid tenant-in-common options, fixer uppers, real estate development and private real estate funds. With these options, it is highly unlikely that you will see a positive return. A much better idea is to title interesting properties to yourself. These decisions should be made based on research and analysis, as well as due diligence. 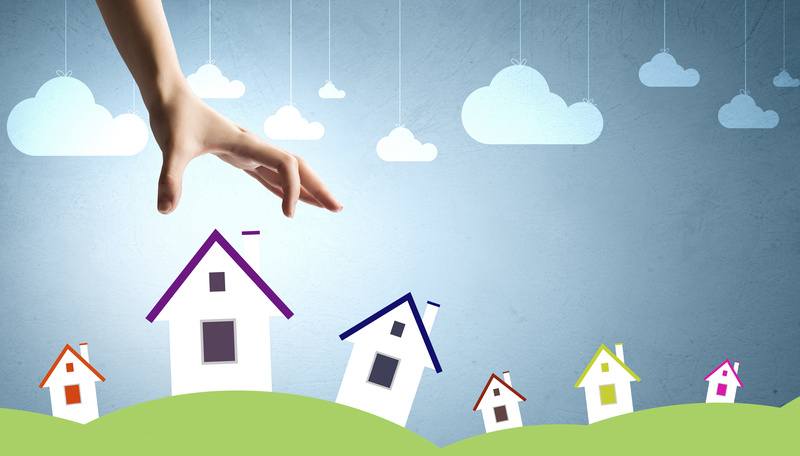 Try to find a property that you don’t have to manage intensively and that doesn’t take up too much of your time. Hence, you don’t want to invest in a holiday home, a college home or a property in a bad neighborhood for instance. You should look for properties that people with good credit profiles will rent for extended periods. This does require a commitment on your side to treat your tenants with the respect they deserve. It is impossible to never have any problems with a property, but if you can resolve those issues quickly, this shouldn’t be too much of a problem. In order to make a good real estate investment, these are the things you should be looking for. The ideal investment property is one that doesn’t require too much maintenance or management. Unfortunately, it can be quite hard to find properties like this. To find these properties, you will need to invest quite a bit of time. You will need to look into all your available options and research and analyze them properly. In many cases, someone who wants to invest in real estate is impatient to actually get started. You should never invest in something that isn’t as secure as it can be, even if you have been waiting for a long time. Unfortunately, a poor investment decision in the world of real estate can be incredibly costly and it will be hard, if not impossible, to ever see a positive return. Resources: Buy my house, buy my home, we buy houses, we buy homes, we buy houses Boise Nampa, we buy houses Four Rivers, buy my house Madison, buy my home Broward, we buy houses ST George, we buy homes Framingham, We buy homes San Antonio, Freedom Mentor Reviews. One among Central Florida’s number one u-pick blueberry farms, Ever After Farms, shall be having a Wedding Barn Grand Opening and Bridal Expo on December 2, 2017 from 10AM to 1PM. Situated just off of I-95 in the picturesque and tranquil farming community of Mims, Ever After Farms have already been a hugely popular pick your own blueberry farm for many years. After the blueberry season ended in June of this year, substantial improvements were made to enrich the blueberry choosing experience as well as host weddings and on Dec 2nd, engaged lovers are cordially invited to tour the rustic wedding venue, for free. At this event, partners can get away from the hustle and bustle of city life and enter a peaceful and stunning country environment. Meet Pat and Tom, the gentle giant Ever After Farms Clydesdales. Tour the massive bright white barn that serves as both a blueberry farming area and can host weddings up to 200 persons. Capture photos beside a real-life Cinderella Carriage. Get some shade under the gorgeous 120 year oak tree. It’s indeed an inspirational experience for people who are attempting to picture what an ideal rustic barn wedding venue looks like. 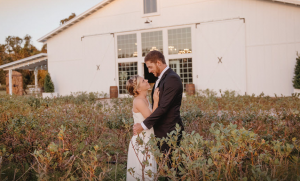 More than simply a Grand Opening as a country wedding barn though, this occasion will also feature a Bridal Expo, where well over 26 wedding industry vendors will be put in place inside the air-conditioned 7,000 sq ft barn, including bakers, florists, DJs, planners, officiants, and many others. They will be delivering information on their services and giving out special rewards to those in attendance. And to enter into the spirit of the season, there will also be a snow equipment blasting snow over Christmas trees. Even though admission costs nothing, interested lovers will need to register for the occasion on their website. A lot of people are starting to invest in real estate so if you have any plans of selling your house, you must do it now. The only problem here is that it is going to be tough to sell a house. You may have seen plenty of articles saying that selling a property is simple or you’ve seen some advertisements informing you that they can sell your house within a specific amount of time. In case you are going to bring down the value of the house, it’ll be a lot more appealing to the customers, but this is not a good thing to do. In the real estate market, the supply surpasses the demand, but you’ll find lots of methods to sell your house efficiently. We’ll give some ideas on how you may do this successfully. First impression lasts so your property should give the customers a good impression once they see its exterior. You can put yourself in the shoes of the customer and assess if the curb appeal of your house is good enough to attract buyers. You have to assess if the house can offer a great impression to potential customers or it needs some maintenance. The potential customer will first see the exterior of your house and you must know that they always pay attention on how the house looks outside. You should get everything ready fix anything that needs fixing. You must make the required improvements outside and inside of your home to draw in the buyers. They want a complete package where they will not need to make repairs on certain parts of your home. If you’re the seller, you have to make sure that you’ll check everything that needs fixing and improvement. Nonetheless, you must never over improve the house because some improvements won’t make a big difference in the asking value of your home. Enhancements can undoubtedly increase the value of your house and its chances to be sold, but you can’t make an improvement that will not pay in the end. You must do your research and invest in the things which will offer the best return. When you say clutter, these are the things that should not be inside the house when you are selling it. You should remove all your personal items, collectibles and art works because it won’t help in selling your home. Remove all of these things and leave out the essential furniture to help make the rooms a bit larger. The objective here is to actually help the buyers visualize what they really want to do in your house once they bought it. Once they are inside the house, they will start visualizing what they need to add so eliminate the unneeded and personal items in your house. It’ll be tough for them to do this if your personal items are still inside the house. If you wish to sell a home in [LOCATION], make sure that you set a competitive value for the house. If you’ll put a low price, it’s going to be similar to leaving money on the table and if you put a high value, the customers will absolutely ignore it. When you talk about home buying, the customers will have a look at similar houses and compare the costs. If it’s too pricey, they will not buy it. You must understand that most of these customers are only depending on home financing so you can assume that they will not choose a house that is very costly. If the value is low, you can undoubtedly sell the house faster, but your investments will not be returned. In case you’re thinking that can be done the selling on your own, you’re making a big mistake. In case you are not a professional real estate agent, don’t even think about selling your house since you don’t have the knowledge and experience to do so. If you’ll decide to do this on your own, it is feasible that you will not be able to sell your home or you’ll get a bad deal for this. You can get lucky and find a good deal for your home, but you should remember that selling a property is not about fortunate since we are talking about a lot of money. You should employ an agent and let them manage everything for you. You’ll need to pay them, but it’s much better than getting a poor deal for your property. Before you sell your house, you need to think about all of these simple tips so you won’t make any mistakes. It’s not easy to sell a property so you have to know everything and anything about the real estate market. Spend more of your negotiating time listening than talking. By dominating the negotiations with your own talking, you might miss out on a great opportunity. The goal is to evaluate what they say to you and negotiate the deal that increases your odds for a higher return on your investment. Deciding to invest in rental properties can be a great idea. However, there are quite a few things you should know about if you want to be successful. Too many people don’t look into rental properties, despite the potential for returns. Investing in real estate, therefore, shouldn’t be about the appreciation, but rather about the cash flow. Cash flow is what actually comes into your bank account from your rental properties after you have met your financial obligations. What you should do is leave your cash flow alone, and keep that as savings as much as possible. Plus, your cash flow can increase as rent prices go up over time. This is particularly true if your mortgage payments stay the same. You should be looking at a cash flow of at least 20%. There are a number of free to use cash flow calculators available online and you should use these at much as possible. If you don’t have a lot of money to invest in a property yourself, it is easier to get started in this world if you are still young. If a bank is to provide you a mortgage for a rental property, they will usually want you to put at least 20% down. Unfortunately, 20% can be much too high, particularly if the property needs repairs as well. However, if you are a bit younger, banks may be slightly more understanding. There is a lot more to real estate investing than this. Of course, one place to start is actually finding a property. If you want to find a property, however, you need to have the time to do a lot of research and you must analyze your options. Plus, you will need to find a representative realtor to help you as well. They will help you to find the best properties for your needs. You will then also need to learn about and research what it means to be a good landlord, which takes a significant amount of time as well. Don’t let this put you off, however.